In this message, Pastor Ted Torreson dismisses our pop-culture shaped misconceptions about Heaven and shares the true living hope that Jesus offers. People have a lot of ideas about what happens the moment after we die. Yet much of it is influenced by liturature, pop-culture, tradition, or some other person’s hopes or fears. Because of all these differnt ideas we often don’t think the right way about Heaven and Hell. 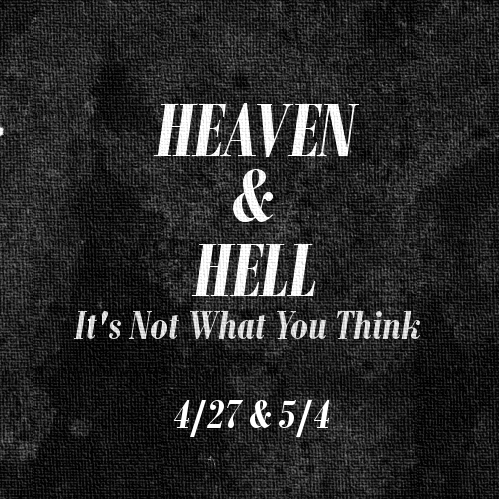 Join us as we talk about what the bible actually says about what Heaven and Hell is like. I guarantee, it’s not what you think.